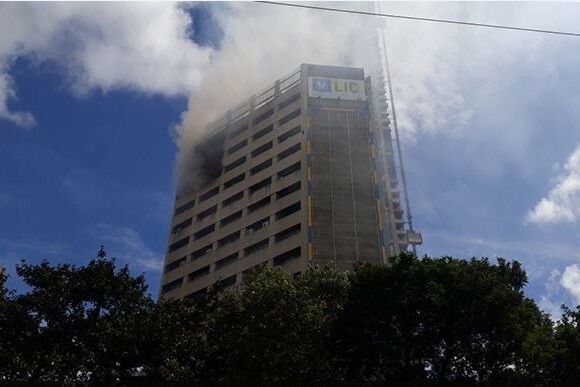 Kolkata: A massive fire broke out around 10am on the 17th floor of Kolkata’s LIC Building, also called Jeevan Sudha, on the arterial Jawaharlal Nehru Road. It is a holiday today and there was no one in the building when the fire erupted and engulfed the two floors on the top. Ten fire engines were rushed immediately. According to the guard of an adjacent building, Jeevan Deep, LIC Building’s water sources could not be accessed. So Jeevan Deep gave fire brigade access to its tanks. The LIC Building stands between the Tata group’s corporate office called Tata Centre and Jeevan Deep. Ten fire tenders have been pressed into service to douse the raging fire. Behind it is Kolkata’s new landmark, a 62-storey residential building called The 42. It is still under construction and therefore empty. Smoke from LIC Building engulfed several floors of The 42 intermittently. The 17th floor of LIC Building housed the server room of State Bank of India’s (SBI) global market office. 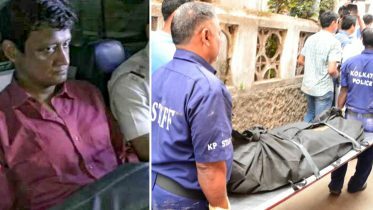 The chief general manager (Kolkata circle) of SBI, PP Sengupta, said there was no news of anyone getting stuck on the floor. SBI occupies 11th to 19th floor of the 19 storey building. LIC’s branch offices occupy most of the other floors, along with other financial organisations. The reason for the fire is still not known but electrical short circuit is suspected. 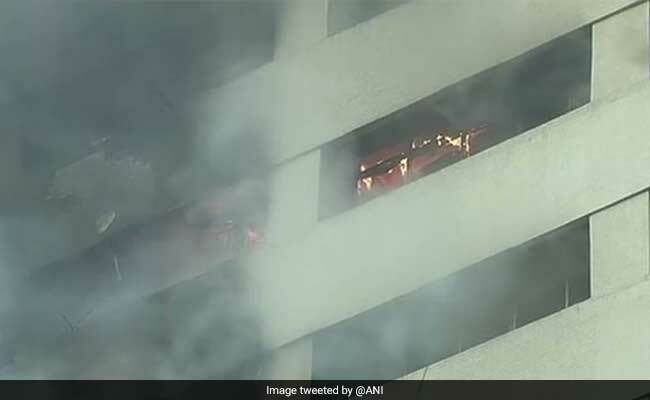 Be the first to comment on "Massive Fire In 19-Storey Building In Kolkata, No Casualties Reported"